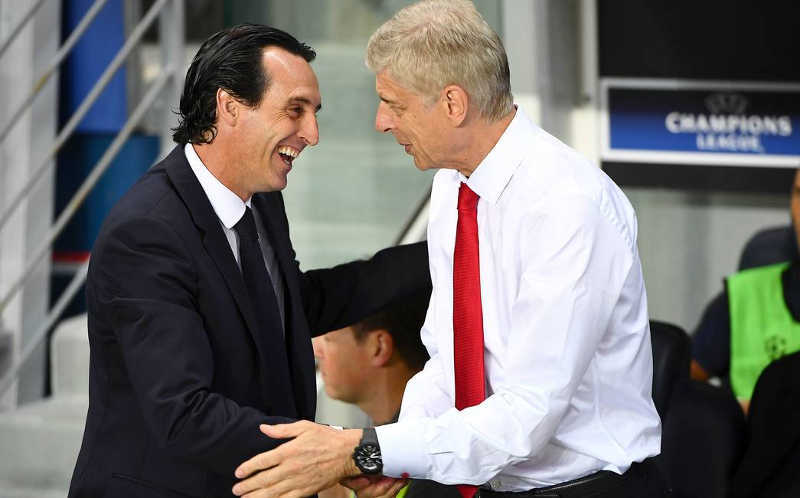 His name may not be so familiar with Ugandan sports fans, but the newly appointed head coach of Arsenal FC Unai Emery has an impressive track record of success as seen from his time at French club PSG as well as previously with Spanish club Sevilla. His choice as Arsene Wenger’s successor at Emirates Stadium should come as no surprise, according to Arsenal’s Chief Executive Ivan Gazidis, who hailed Unai’s selection as a “unanimous” choice to “drive the next chapter” at the club. Confirming Emery’s quality as a top notch manager, Arsenal CEO Gazidis said: “Unai has an outstanding track record of success throughout his career, has developed some of the best young talent in Europe and plays an exciting, progressive style of football that fits Arsenal perfectly,” Gazidis added. The 46-year old Spaniard comes to Arsenal after spending two-years with French League 1 champions Paris Saint-Germain, where he recently landed the treble of Ligue 1, Coupe de France and the Coupe de la Ligue. Before moving to PSG, Unai steered Spanish club Sevilla to three successive Europa League triumphs. 1 – Unai Emery’s 73.7% win ratio and points per game ratio of 2.37 was the best ever seen in Ligue 1 by a Paris Saint-German boss. 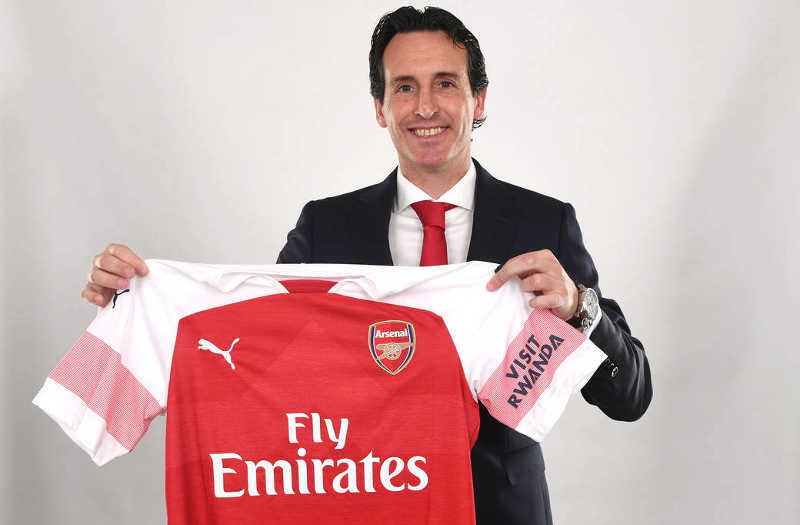 7 – Arsenal are the seventh club of Emery’s coaching career. He started with Spanish minnows Lorca Deportiva and led Almeria, Valencia and Spartak Moscow before his reputation rose rapidly over the past five years. 2 – He is Arsenal’s second non-British manager after Wenger and the ninth Spaniard appointed to a Premier League job. 1 – The Ligue 1 title this season was Emery’s first ever league win after PSG finished second to Monaco last time around. Before moving to the French capital, back-to-back third-place finishes with Valencia in 2010-11 and 2011-12 represented his best league return. 2.37 – Emery averaged 2.37 points per game at PSG, with a Ligue 1 win ratio of 73.7 per cent. Both represent best marks in the club’s history. 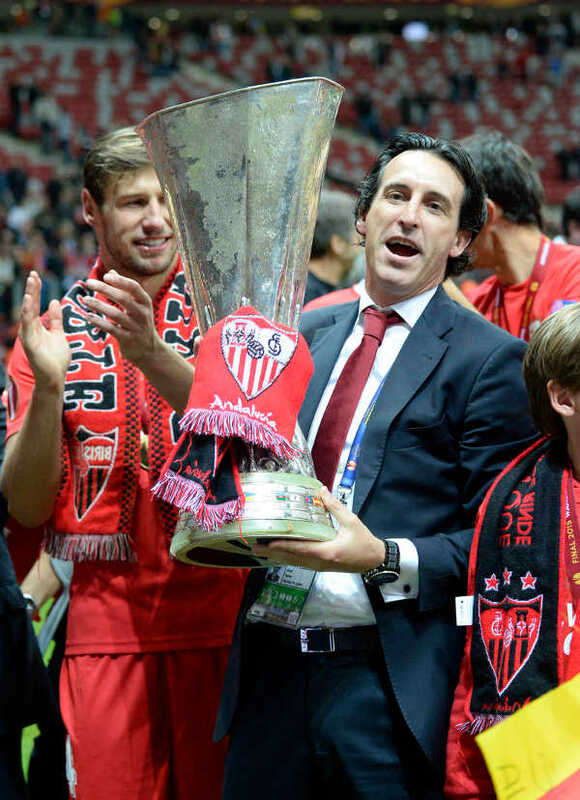 3 – After winning the UEFA Europa League in 2013-14, 2014-15 & 2015-16, Unai Emery shares the record for the most UEFA Cup/Europa League titles alongside Giovanni Trapattoni (3). He’s the only manager to do this in three successive seasons. 15 – A record Emery will certainly need to improve is one of no win in 15 competitive attempts against Pep Guardiola and Jose Mourinho. 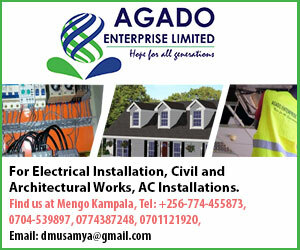 Facing Manchester City’s former Barcelona boss Guardiola, he has four draws and six defeats, while Mourinho has won four and drawn one of their previous meetings. 4-3-3 – Emery’s preferred setup at PSG, where he used the formation in 89 per cent of matches. At Sevilla, he used a more conservative 4-2-3-1 in the majority of games.